VLDL stands for very-low-density lipoprotein. Your liver makes VLDL and releases it into your bloodstream. The VLDL particles mainly carry triglycerides, another type of fat, to your tissues. VLDL is similar to LDL cholesterol, but LDL mainly carries cholesterol to your tissues instead of triglycerides. VLDL and LDL are sometimes called "bad" cholesterols because they can contribute to the buildup of plaque in your arteries. This buildup is called atherosclerosis. The plaque that builds up is a sticky substance made up of fat, cholesterol, calcium, and other substances found in the blood. Over time, the plaque hardens and narrows your arteries. This limits the flow of oxygen-rich blood to your body. It can lead to coronary artery disease and other heart diseases. How do I know what my VLDL level is? There isn't a way to directly measure your VLDL level. Instead, you will most likely get a blood test to measure your triglyceride level. 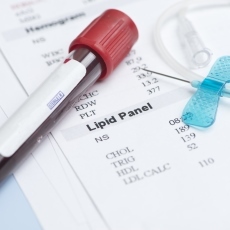 The lab can use your triglyceride level to estimate what your VLDL level is. Your VLDL is about one-fifth of your triglyceride level. However, estimating your VLDL this way does not work if your triglyceride level is very high. What should my VLDL level be? Your VLDL level should be less than 30 mg/dL (milligrams per deciliter). Anything higher than that puts you at risk for heart disease and stroke. How can I lower my VLDL level? Since VLDL and triglycerides are linked, you can lower VLDL level by lowering your triglyceride level. You may be able to lower your triglycerides with a combination of losing weight, diet, and exercise. It is important to switch to healthy fats, and cut back on sugar and alcohol. Some people may also need to take medicines.